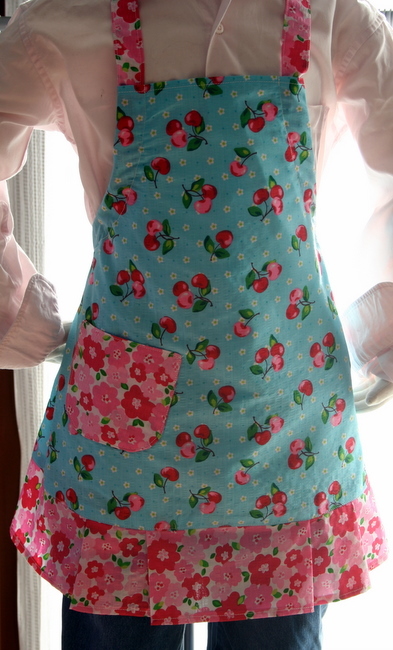 After sewing this apron and making this treasury, I truly believe I need to run to the grocery store and buy the ingredients to make a cherry pie! I can smell it! I can taste it! What a wonderful addition it will be to the evening meal! My latest product addition for my ETSY store, RitasCreationsOnETSY, is aprons for girls. I constructed this one with a Cherry Themed Tutti Frutti fabric. There are so many fun designs in this fabric line and you will be seeing more in the near future. Want Ice Cream Cones - there is one in my shop at the moment! How do you like my new model? I'm going to have to name her so if you have any suggestions I'd love to hear them. Some how even having a mannequin without a name is just too impersonal - LOL! So, here's one of my new aprons... I make these in 3 different sizes for girls - 3-4, 5-6, and 7-8. And, I also made this "Let's Bake a Cherry Pie" treasury - (you can navigate to everyone's store featured here by clicking on the treasury link). Thanks for stopping by.... and please drop by later this evening for a piece of cherry pie and some coffee! I think your site is lovely and very professional. 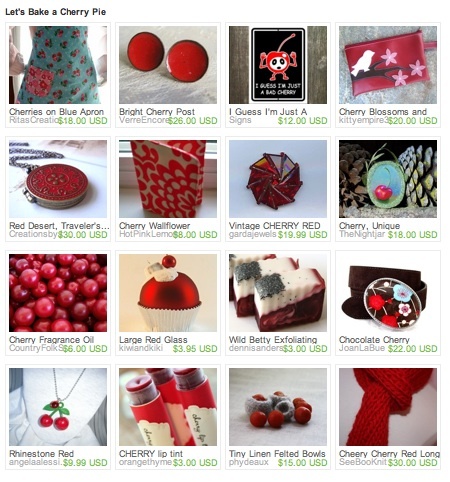 How nice of you to include my Cherry red pinwheel brooch. It is appreciated. This is adorable Rita!! Love it! !